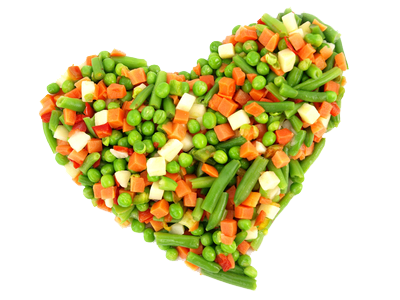 Flash-Frozen vegetables are similar in nutrition to fresh vegetables. The reason for this is that flash frozen techniques suspends their aging process of nutrient losses immediately after being harvested. 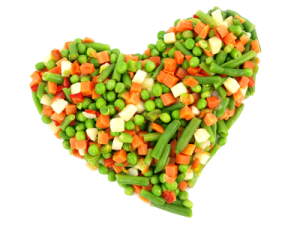 Frozen Veggies are often picked in there peak season, too. Nutritional comparisons on both fresh and frozen broccoli florets (uncooked), and the frozen broccoli contained a bit more vitamin A, vitamin B2, vitamin C, and folic acid.A recent government study found no change in amounts of folic acid found in veggies after 12 months of freezing. So don’t let nutrition stop you from buying frozen!